AGlaze Active 3 is a new multi-purpose, spray and wipe product which can be used to remove dried on bird droppings and insect marks without damaging the finish and without the need to re-polish the paintwork afterwards. It can also be used to improve the look, feel and gloss of any painted surface with minimum effort. 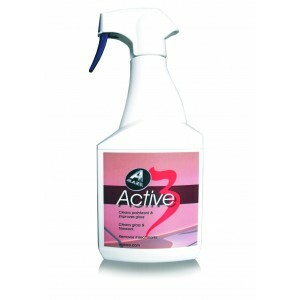 Active 3 may also just be used as a quick detailer to remove fingermarks or wipe round door shuts, trimwork and wheels, etc, and is also suitable for cleaning up interior surfaces like dashboard, door cards, centre console and gear shift gaiter etc.